If you are a person who loves makeup and regularly uses some, this roundup is for you. 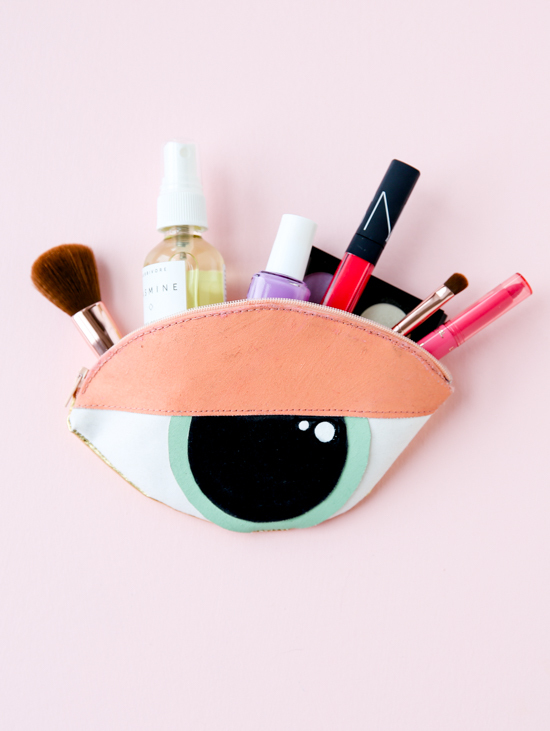 We’ve gathered the coolest makeup bags and pouches to make – these cuties will store your makeup safely and will be a chic accessory. Ready to see them all? Let’s go! 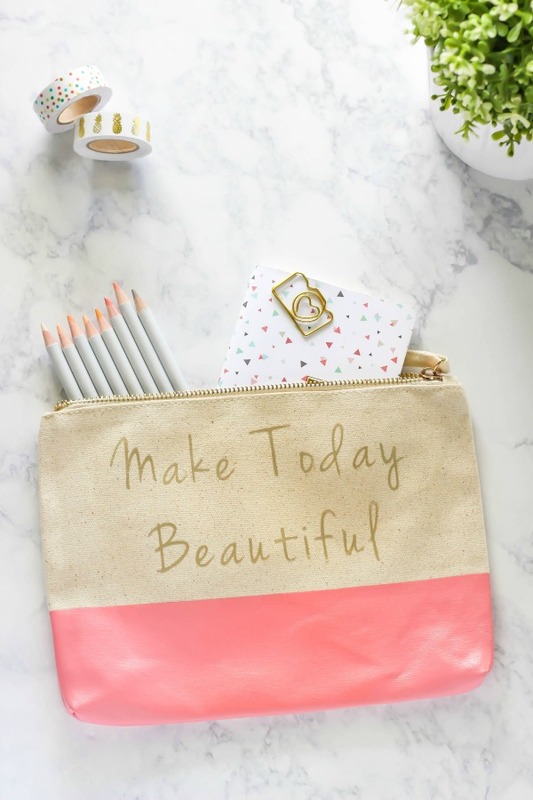 This DIY typography zipper pouch using HTV is a personalized Make Today Beautiful pouch perfect for holding your craft, sewing, makeup supplies, and more! This craft project is very easy to make and I just loved the final result! 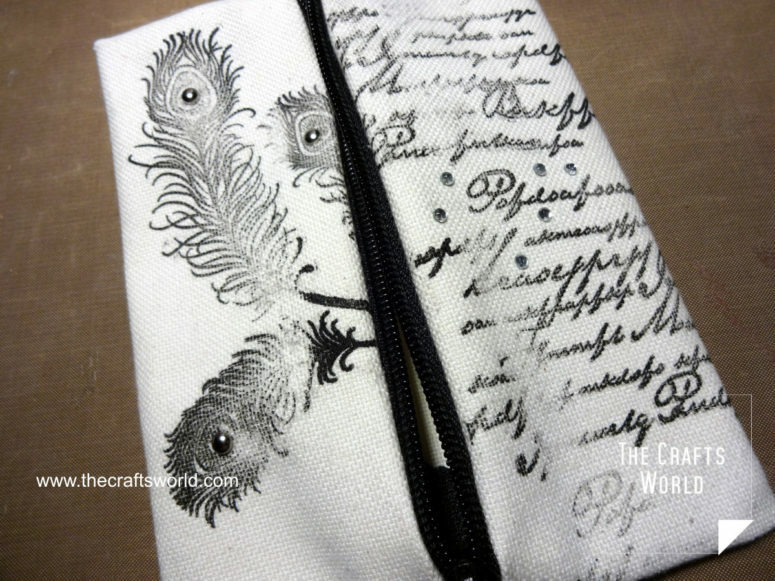 You can use it for its intended purpose as a pencil case or you can totally mix things up and using it for storing craft and sewing supplies, even as a makeup bag. Who doesn’t love a handy little bag? They’re fun to make (and easy!) and they’re handy to have around. 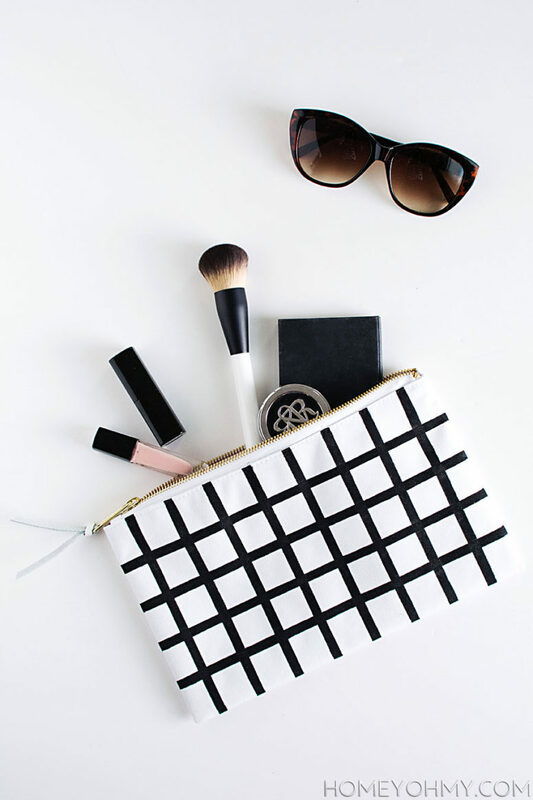 This easy to make DIY Makeup Bag is perfect for travel, storage at home, as a gift or for any reason that you want a great cosmetic bag pattern. Easy to follow sewing instructions will have you making this little bag in under an hour. Stuff this little makeup bag full of cosmetics or any other little trinkets that you need to tote. It would make a fun gift too-fill it with cute things and give it to a friend! 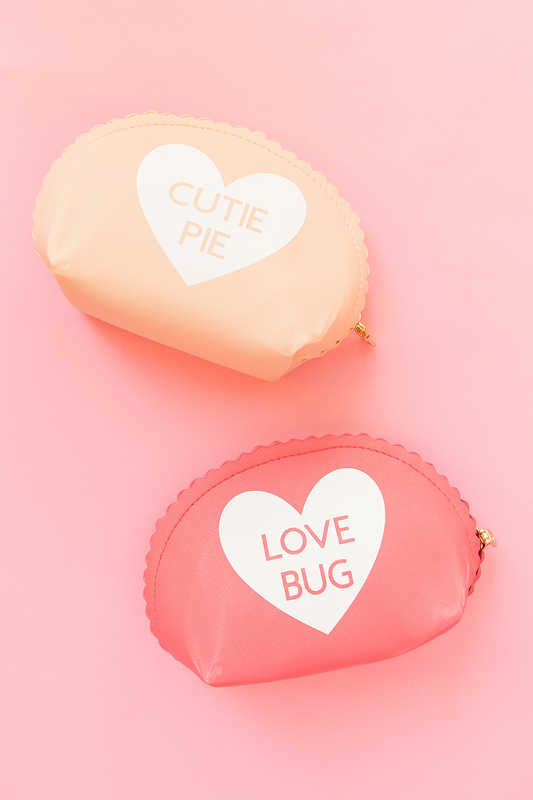 This makeup bag or pouch is a cool idea for the coming Valentine’s Day, still it will be a cute and fun idea for the whole year. The tutorial will tell you how to glue rhinestones to fabric and get four printable free stencils for rhinestone patterns to create your own makeup bag collection! Make some bath bombs to put them inside to make a cool Valentine’s Day gift. This would make a super cute gift or party favor for a bridal shower or bachelorette party. You could make several at once and put lip gloss or other cute little essentials inside! This tutorial shows you how to create the project on a Cricut or Sihouette machine with iron-on vinyl, but you can do it without that, too. Just use the supplies listed under “for regular printers,” and follow the instructions on the transfer paper package. 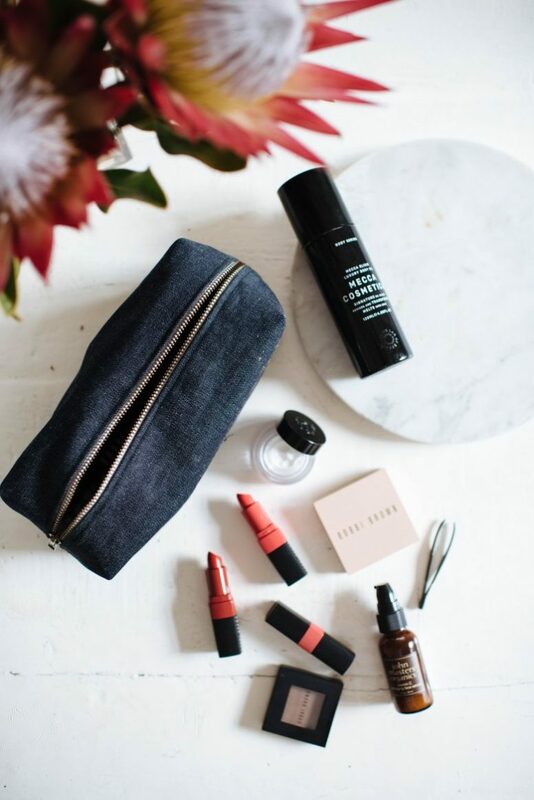 If you use makeup, it should be at hand all the time, and there’s nothing better than a makeup bag to store it. This tutorial will tell you how to make a cool vintage-inspired makeup bag with a round shape and vintage floral prints. 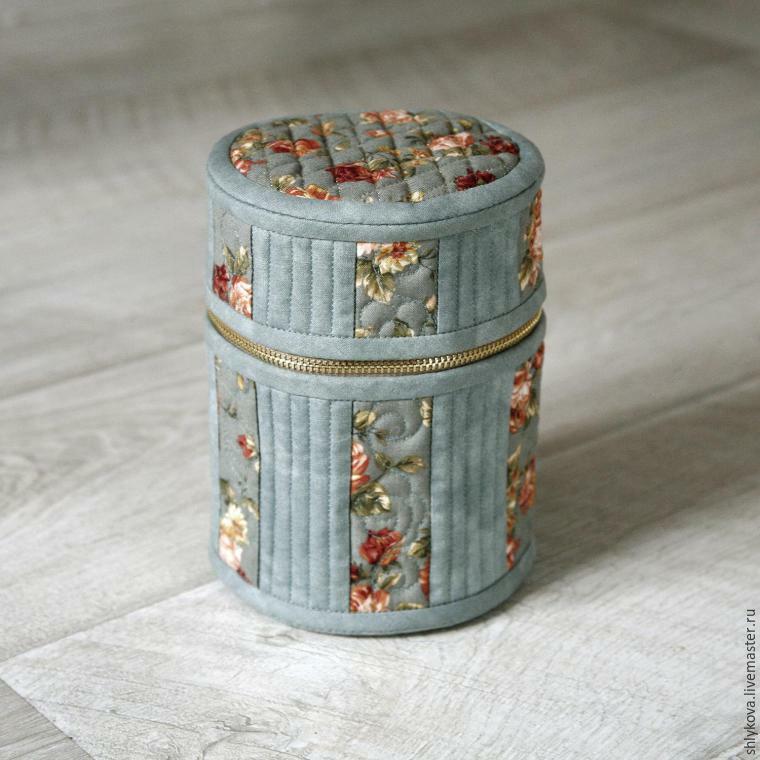 Such a piece can be used for storing many other items, too, not only makeup, and it can be a great gift for everyone. I love giving DIY gifts for the holidays, especially when it comes to my friends. But what to make is always the tough part. If you need a cute and unusual gift for Valentine’s Day, for a bachelorette or for another kind of party – it’s a bold eye pouch! This size clutch is perfect for small beauty essentials (like Q-tips travel pack) and other makeup items, like lipgloss, nail polish, etc. You could even use it as a mini wallet, etc. Make a no-sew makeup tote with a zipper in a small size that can fit in any bag. Alter the size for a larger one and decorate with inks, stamps and rhinestones. If you ask me, I’ll say that the thing is totally love about this tote is that you needn’t sew anything – I’m not very good at that. If you aren’t good at it either, this is a nice project for you. If you love Scandinavian and minimalist style, this pouch is for you: it features a windowpane pattern. The coolest thing about this black and white piece is that the pattern is created with paints – it’s not a printed piece of fabric. You may create various patterns and change the existing one if you want – this decision is only up to you, use the tutorial and create your own pouch. This is an easy DIY makeup bag printed with conversation hearts. 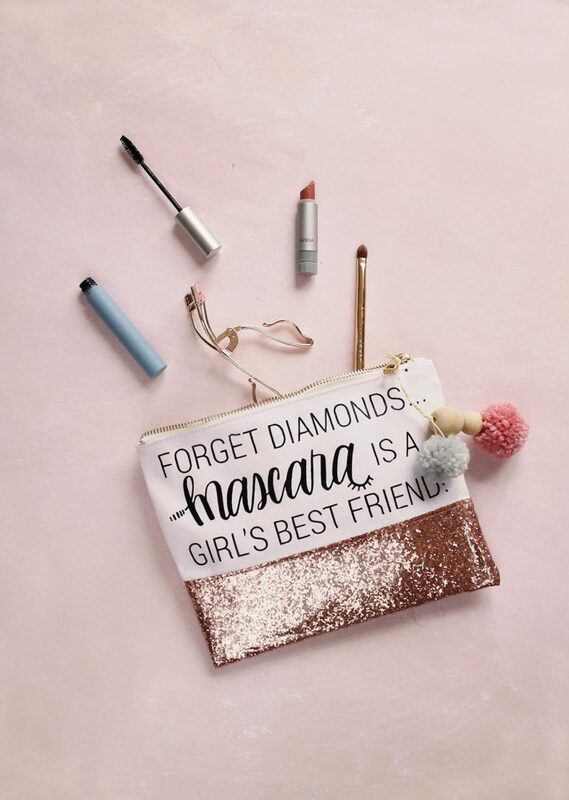 These makeup bags would make the perfect Valentine’s gift for your girlfriend’s or bridesmaids! I love gifts that can be used rather than something that just gathers dust in the closet. So this DIY makeup bag combines two of my favorite things – Valentine’s Day and a gift that is functional! Valentine’s Day is the perfect time to give a gift from the heart and nothing says that more than a gift you made yourself. 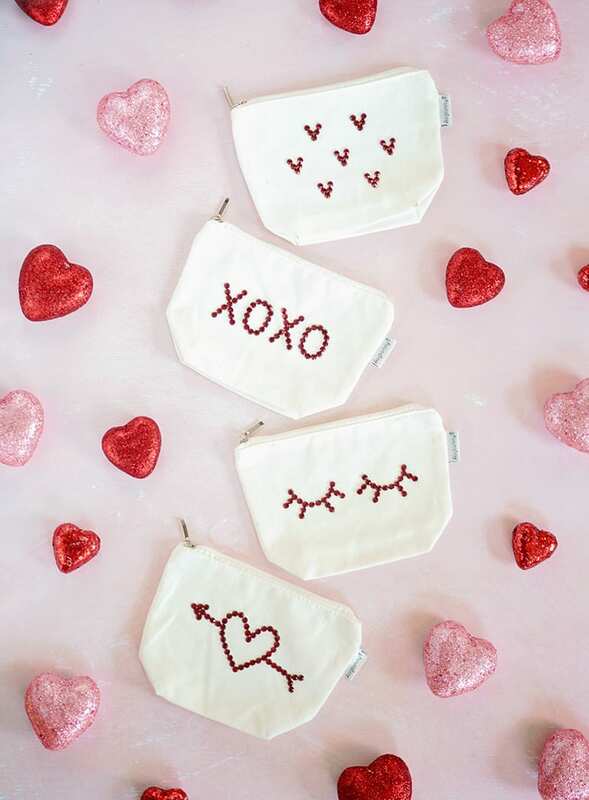 Read on below to learn how to make these easy DIY makeup bag Valentine’s gifts! 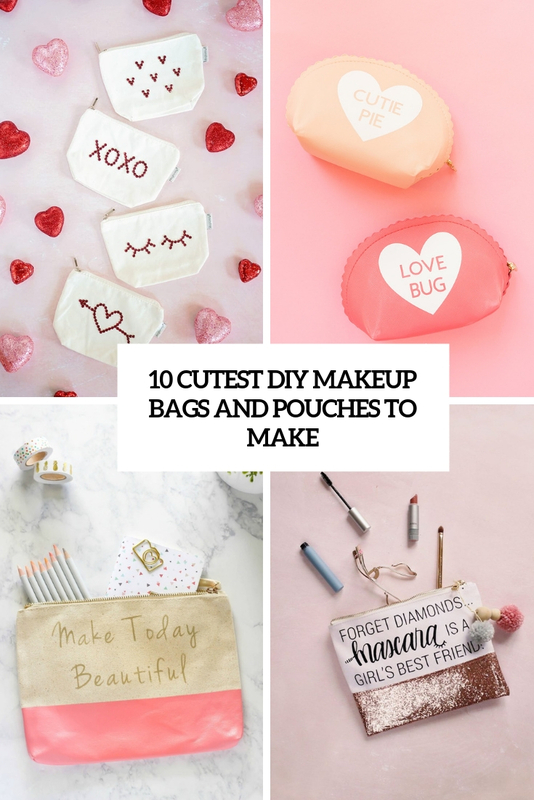 Fill these DIY makeup bags with makeup and gift to your bridesmaids or give to girlfriends for Valentine’s Day! Are your beauty products all over the place? 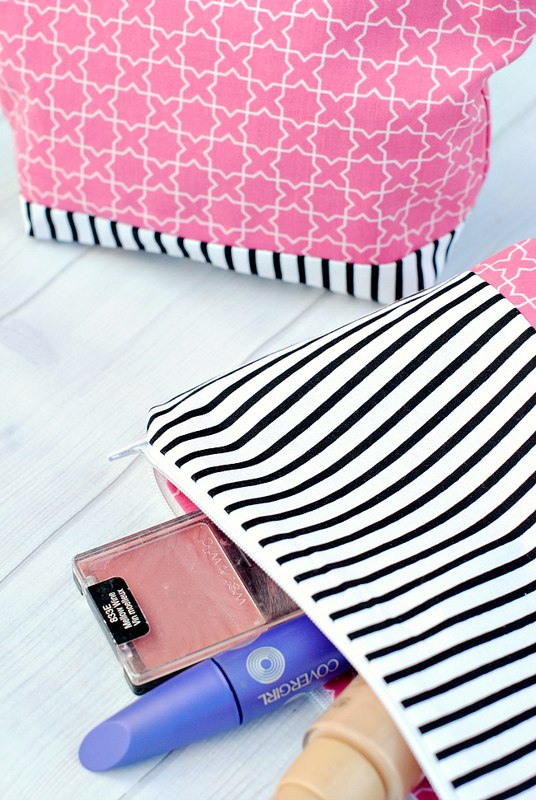 Why not get crafty and make this simple make up bag? Read how to sew such a makeup bag for your pieces and use any fabric with any colors and patterns you like to make a comfy storage bag. Read the tutorial and go crafting!